"218 people have died, with 61 in Banaskantha and seven in neighbouring Patan district," an official of the State Emergency Operation Centre (SEOC) said. Floods due to torrential rain and release of water from dams affected 4.5 lakh people in Gujarat. Ahmedabad: The flood toll in Gujarat has risen to 218 this monsoon, with 61 people killed in worst-hit Banaskantha district, an official said on Monday. The toll increased in the last two days after more bodies were found as flood waters receded in Banaskantha and Patan districts of north Gujarat, he said. Floods due to torrential rain and release of water from dams affected 4.5 lakh people in the state, with over 39,000 people shifted to safer places and 11,400 rescued last week by teams of the Army, Air Force and National and State Disaster Response Forces. Most of the people who were relocated have now returned to their villages, the official said, adding the administration was now focused on providing them food and preventing outbreak of water-borne diseases. Relief operation has been intensified as the rains have abated. Chief Minister Vijay Rupani is camping in the Banaskantha-Patan area for the last four-five days. In Banaskantha, villages along Banas and Sipu were inundated. 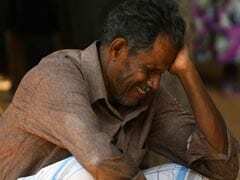 In one village, floods claimed the lives of 14 members of a family, officials said. 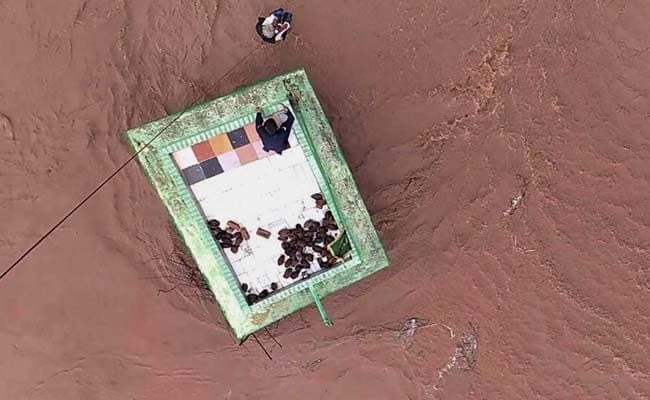 The situation became serious as a huge volume of water was released from Dantiwada and Sipu dams following rains in other parts of the region and neighbouring Rajasthan. Mr Rupani on Monday visited the affected villages in Patan district. He plans to stay in the area for three more days, said an official. Monday he visited Radhanpur tehsil. Normalcy will be restored in another ten days, he assured the people. In Patan, he said, 58 out of the 87 damaged roads have been restored, and 153 medical camps set up.